Home » Transformers Movie » Transformers Movie (Just Movie) » Transformers: The Last Knight Infernocus Combiner Revealed! Transformers: The Last Knight Infernocus Combiner Revealed! Spoilers ahead: Thanks to TFW user Unicron the Chaos Bringer, we have big and spoiler-ish news to share with you today. Earlier this year we got a leaked TRU listing for a combiner set retailing for $34.99. Not much was known about it until now as a legion combiner set by the name of Infernocus was shown. It seems to be a retool/repaint of the previously released Legion Combiner Abominus set from Transformers Prime: Beast Hunters. The set is made up from five characters named Rupture, Skulk, Infernocon Thrash, Glug, and Gorge. They all combine to form the menacing Infernocus. Again, not much is known about this character or the exact role he will take in Transformers: The Last Knight, but based on the image we are assuming that he is going to be some sort of guardian to Quintessa as she is everything but confirmed to be involved with the creators of the Transformers. The low quality image gives us a somewhat first look at how she will look in the movie. One more thing to point out. This whole Mission Cybertron Glyph Decoder thing has been floating around for quite a while now and not much info has been released on it, but TFW2005 News Staff Mr. Silver Optimus himself – noticed a small portion of the “Glyph Decoder” logo at the bottom of the image. Could the glyph decoder possibly be associated with this combiner? We may find out soon enough. 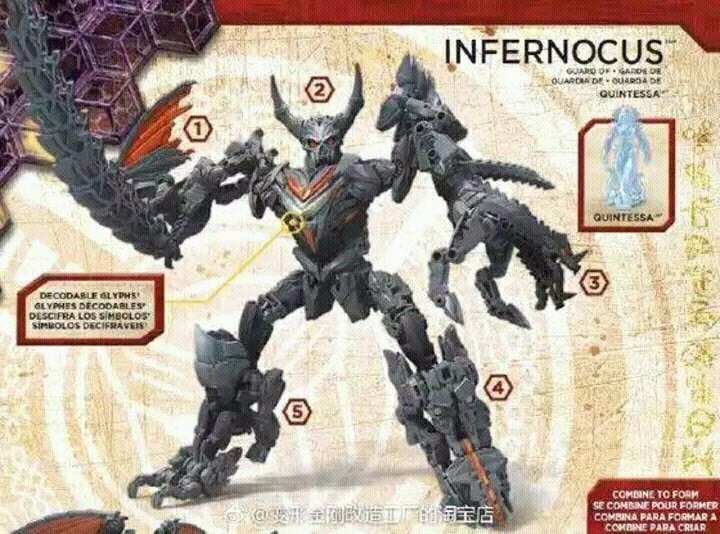 Stay tuned to TFW2005 for more info regarding this Infernocus and any other related information. Check out the images after the jump and don’t forget to sound off! It looks like a really demonic Transformer that might be from Cybertronian hell. I think it's another set unless whoever updated TRU's database mispelled the entry. I get the feeling this isn't actually the set with Slug and the combiner….that might be a new set altogether. I for one am hoping for a different gestalt that comes with SLUG . This line just keeps getting better . 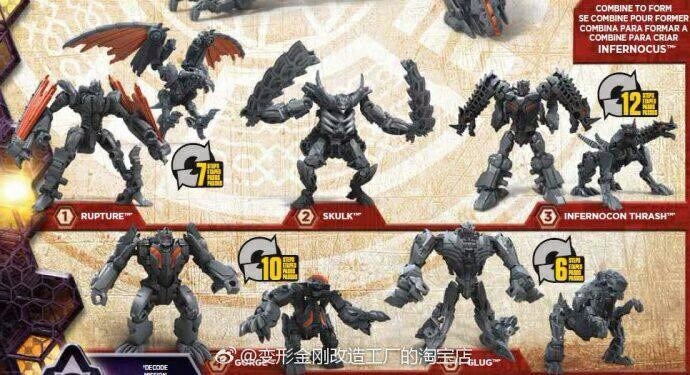 2.-Combiner set with slug is actually bruticus and we maybe will see bruticus vs infernoccus in the movie. 3.-Combiner set with slug isanother infernoccus. Slug will come with him,but he will not be a combiner part to Infernocus. Isn't slug one of the names listed for one of the limbs in this set? What list ? And are there any theories as to whom / what they are ? Combiner Set with Slug listed in TRU Computers.Slug should come with it. i'm tempted get these guys and use the combined form as my story's super janemba entity…. Why is anyone hoping for anything? 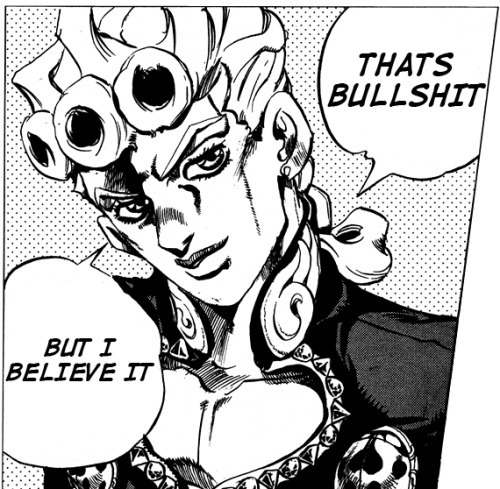 It's all just going to be randomly whatever and have next to nothing to do with anything we would actually be excited to see come to life. welcome to humanity! where hope is hopefully used on hoping for the hope of hopes, or hoping hope with hope where no hope has hoped…….i hope. i'm just having fun, don't worry about it! maybe these guys don't know much about the story like i do. i've been about…..78% spoiler free? maybe? only know about the toys…. If Quintessa looks anything like a Quintesson and is at a decent scale, I might pick this up. The combiner is not that exciting to me since I already own BH Abominus. New chest is cool, though. Man hasbro isnt even trying anymore. That is one scary looking bot. The limbs never looked great and they look even less so with that torso. If i see this thing at bargain basement then maybe, but otherwise would rather spend the money on rid 5 team combiners.